Recently I got a 3D printer and have been having a great time with it. My more general thoughts about the technology I’ve already posted. Here I present a quick walkthrough of one of my immediate, highly critical and urgent, applications for the tool: Making detailed parts for miniatures wargaming terrain. Recently I scratchbuilt a small facility for a new set of terrain I’m working on for my club’s upcoming LibertyHammer event. 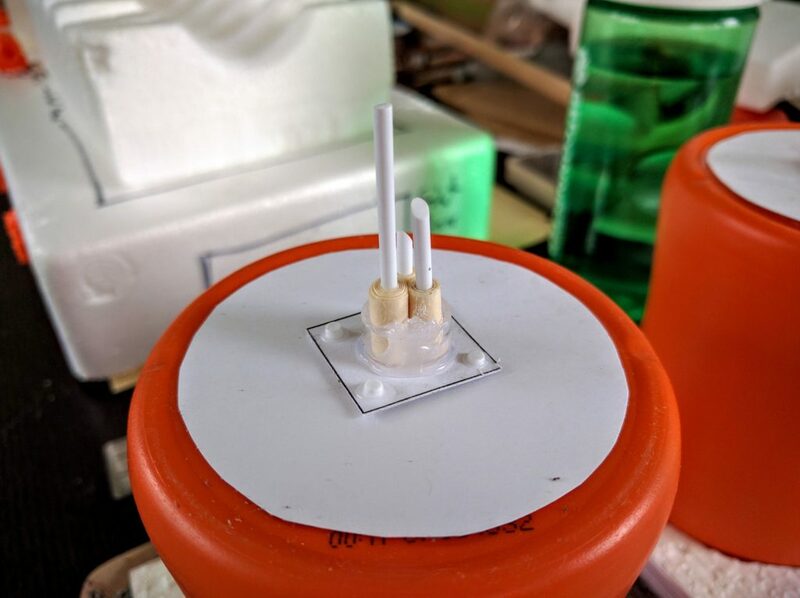 One of the little bits built to provide some detail and texture to the model’s overall look is a simple antenna cluster. That prototype turned out pretty well, so now I’d like to have a bunch of them to stick on various buildings in the set. They’re not hard to make so they’re not worth the hassle, cost, or time to resin cast (though it would be straightforward to do so because of the verticality and flat bottom plane of the shape). With the 3D printer though I can make a tradeoff: It’ll actually take longer to produce, almost 30 minutes on my printer at high detail versus maybe 10 minutes for me to make by hand. But I can do other things in that time, and they’ll be more consistent, more detailed, and I don’t have to scrounge around for supplies and components. To do so of course I have to create a 3D model. For this project I used TinkerCAD, a simple browser-based 3D computer aided design (CAD) program from Autodesk. The end result is faithful to the scratchbuild, with just a few more details. 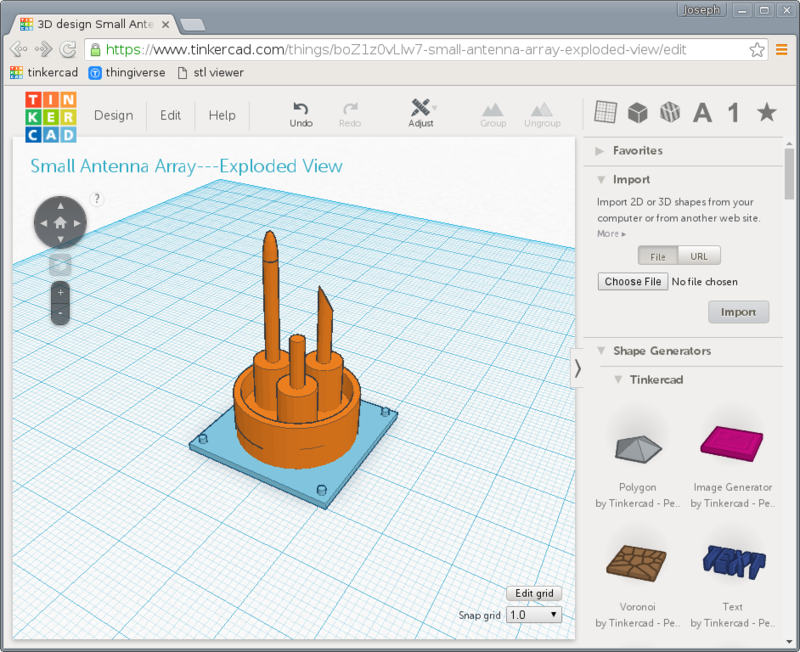 The finished antenna array in TinkerCAD. 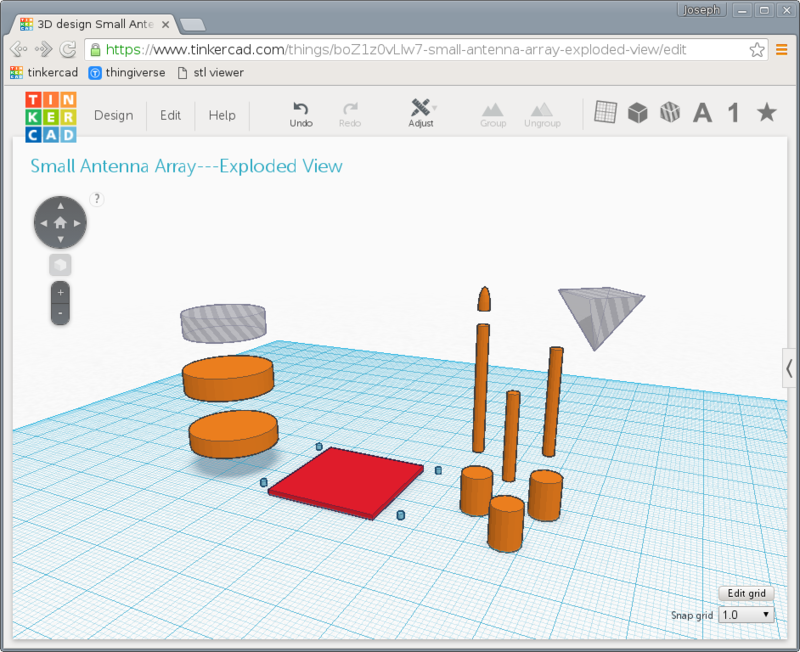 TinkerCAD is essentially a constructive solid geometry modeler. 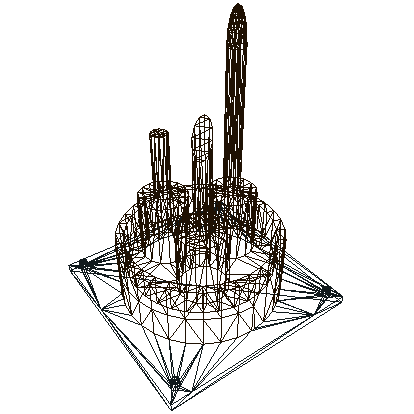 Its core operation is constructing complex shapes by adding and subtracting simpler shapes to and from each other (unfortunately it does not seem to support the third constructive geometry primitive operation, intersection). For example, to put a hole through a cube you take a cube and a cylinder and subtract the latter. To make a farm silo you would take a cylinder and add a sphere sunk halfway into the top. One advantage of this paradigm is that the final product is guaranteed to be solid. In mathematical terms, every point in space is completely determined to be inside, outside, or on the surface of the shape. Intuitively, the 3D shape is watertight, there is no way to pass between the common sense exterior and interior. 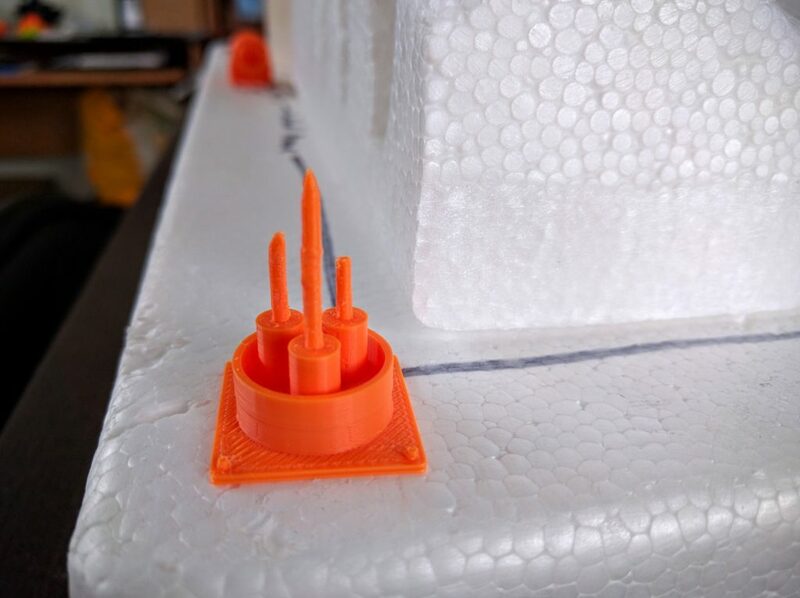 This property is critical because it’s essentially required in order to print a model. Although there are other approaches to working with solids besides constructive geometry, not all 3D modeling approaches are based on solid forms and may not guarantee that property and be as directly applicable to representing physical artifacts. For example, many tools oriented toward video game and animation modeling are based around manipulating arbitrary 3-dimensional meshes of polygons, which aren’t necessarily solid and may not be printable because no algorithm can determine what is inside and what is outside the piece. Another feature of constructive solid geometry is that it’s comparatively easy to make many kinds of modifications to the part later on, because the sequence of steps and feature composition of the part is naturally retained in its model. A downside of constructive geometry though is that it can be difficult or actually formally impossible to create some complex shapes. 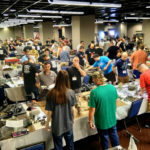 Fortunately though, the style is well suited to making many types of mechanical parts, as well as many kinds of wargaming models, especially mechanical or industrial terrain. The antenna cluster for example is mostly just a few cylinders of varying sizes, a base plate, a negative cylinder to create a pocket forming a partial wall around the antennas, and another pyramidal hole slicing an angle off the top of one antenna. Constituent parts of the antenna array model. The gray semi-transparent parts are holes, negative shapes. The other colors have no meaning. The part is then exported to STL, a STereoLithography file. This is one of the primary file formats common across CAD software and is ubiquitous in 3D printing. Stereolithography is actually one of the earliest forms of 3D printing, and the basic principles are still widely used, particularly for very high resolution printers. One of the reasons for the STL format’s enduring popularity beyond those early tools though is its simplicity: The entire model is represented as a collection of triangles making up a polygonal mesh. That’s essentially a lowest common denominator for working in 3D, so it’s easy for software developers to import and export. View of the STL triangular mesh, from viewstl.com. Like most home 3D printers, mine is a fused deposition modeler. A strand of material, usually some type of plastic filament but not always, is heated and extruded through the printer head. Servos move that printer head or part workbed around to outline and fill a single horizontal 2D slice of the part. The head is then moved up relative to the workbed to deposit another slice on top of that. Working from bottom to top, eventually a 3D part is constructed. Slicer software is responsible for taking the STL file and cutting the shape up into thousands of layers, then generating the movement commands to drive the print head. 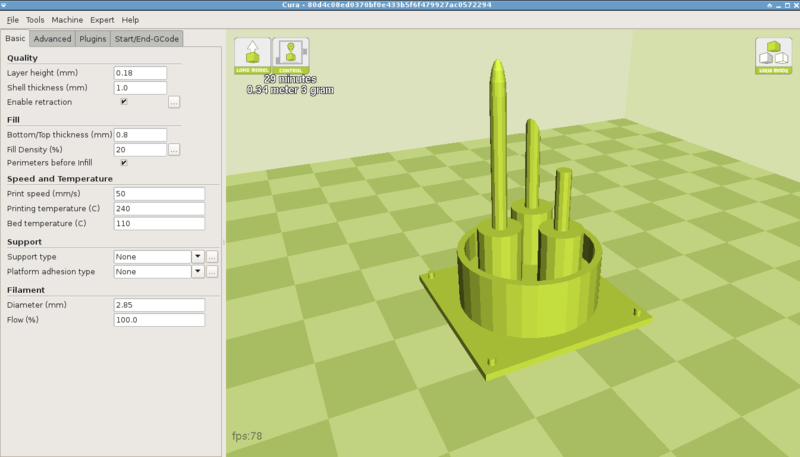 The antenna ready to print in Cura, a popular slicing and control package. 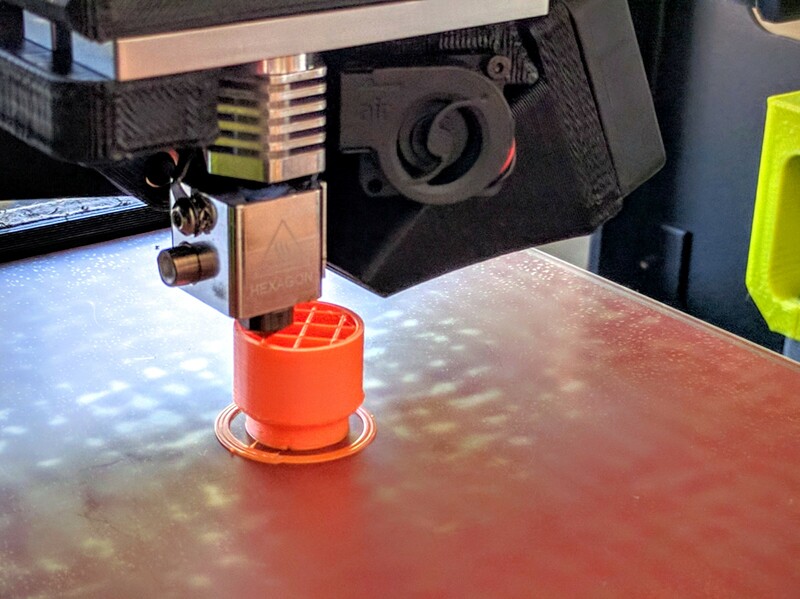 Printing a (different) part. Solid shapes are generally filled with an infill pattern, here the visible cross-grid, to maintain strength and form while dramatically reducing material and print time. Of course there are numerous details beyond that quick summary: Material; layer height; printer speed; supports, rafts, and brims for enabling more complex shapes; and so on. But with some printers and software these days, and with appropriate models, it really can be basically as simple as just loading up the model and clicking “Print.” With my printer and settings this small antenna array takes about 30 minutes to print, and afterward I’ve got a sweet little terrain bit. 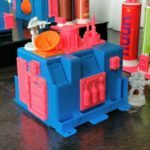 How workable printed parts are depends a lot on material. I’ve been using high impact polystyrene (HIPS), which is frequently used in toys. It’s very hard, not rubbery or fragile at all, but carves nicely with a hobby knife. CA (superglue) and PVA (white glue) both seem to adhere well to it. I believe ABS, a more commonly used material, would be slightly harder to cut but otherwise have similar properties. A few quick details to close out this walkthrough. My printer is a Lulzbot Mini, which I got because it met the right combination of price, resolution, and ease of use. In particular, it self-calibrates the dimensions of the workbed and cleans the print head before each run. 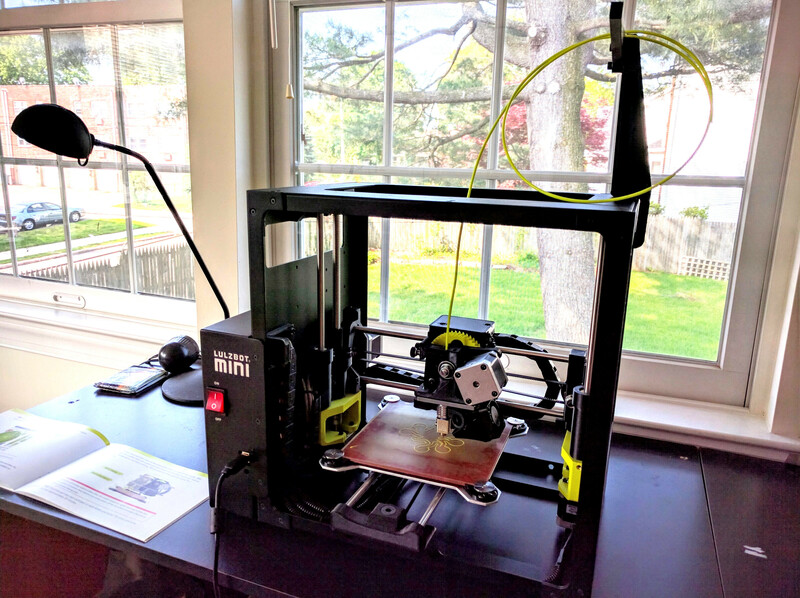 Lulzbot maintains a version of Cura, one of the more popular open source slicing and control packages, patched with preloaded settings for their printers. Cura supports Linux and I was able to get it working under Arch Linux (not one of the directly supported distributions) with only a little fussing. The pieces shown here were printed using Lulzbot’s default “High” resolution printing, which amounts to a layer resolution of 0.18mm. Lulzbot claims the Mini can go down to .05mm resolution, but I have not played with that. I’ve been using HIPS filament, which I think is recommended for the Mini and toys & games. 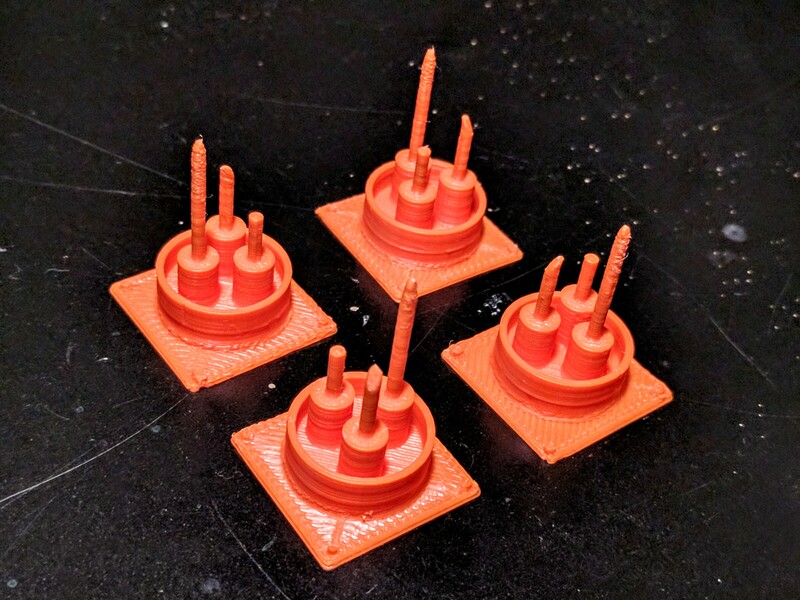 The model for this antenna array is now freely available on Thingiverse. If you use it I’d love to see pictures, and I’d be happy to answer questions! 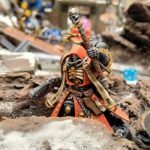 A friend of mine is a professional model maker and caster, and we’ve been having a discussion about this article that may interest people. 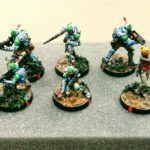 In a comment here I show more examples of printed parts and talk about costs and other tradeoffs in 3D printing for miniatures. This entry was posted in design, miniatures and tagged 3d printing, cad, design, featured, featured modeling, miniatures. Bookmark the permalink.